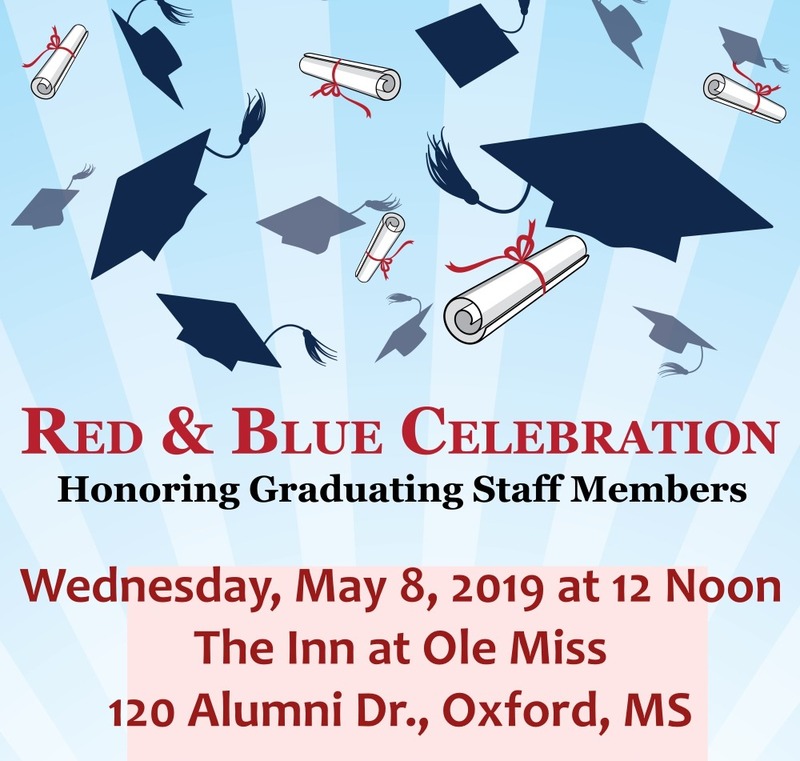 We are pleased to announce the 2nd Annual Red & Blue Celebration of Staff Members at the University of Mississippi! 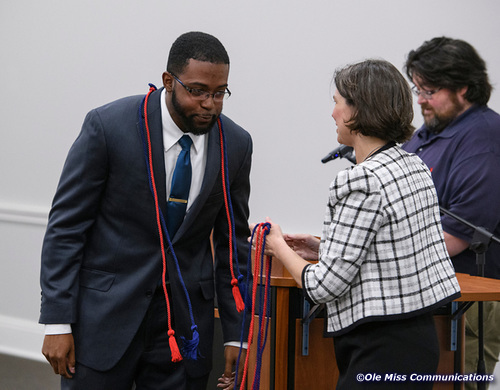 This is an opportunity for the university community to come together and honor staff members who have successfully navigated the college experience while simultaneously working as an employee at the university, During the ceremony, we will honor graduating seniors and graduate students with red and blue cords and a reception. 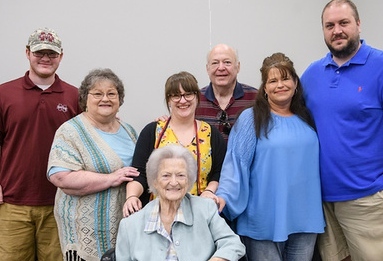 The ceremony will be held on Wednesday, May 8 at 12noon at the Inn at Ole Miss. Students, family, staff, alums and faculty are encouraged to attend and celebrate with graduating staff members at the ceremony. This event will honor UM Staff Members who have graduated or plan to graduate in December 2018, May 2019, or August 2019. Any graduating staff members who wish to be recognized should complete the form below by Wednesday, April 24, 2019. Guests are encouraged to attend the ceremony, but we ask that guests pre-register to guarantee we have enough resources at the event. Please complete the registration form below by Wednesday, May 1, 2019. This Celebration is co-sponsored by the Office of the Provost, the Division of Outreach and Continuing Education, the Office of University and Public Events, and the University of Mississippi Staff Council.